In the past month or so, we’ve taken a look at how to improve your bathroom lighting and your bedroom lighting. At Lighting One of Cincinnati, we’re always excited to help someone find new lights, whether that’s for their bathroom, bedroom, or kitchen. In this post, we’re going to look at some common kitchen lighting mistakes and how you can change your fixtures so they work more efficiently and provide you with better light! There’s nothing worse when you’re preparing a meal than not being able to see what you’re chopping. If your counters have shadows on them from the cabinets above, or from your head or shoulders as you stand at the counter, then it’s important to find a viable solution. The light from your overhead fixture on the ceiling (and the objects in the way) are responsible for the shadows, so investing in some under cabinet lighting is the way to go. By having task light directly above the counter, you can eliminate those shadows and see what you’re doing! You want your kitchen to be bright and inviting, but if the glare is too much to handle, then it may be time to change some things. If you have several recessed fixtures in the ceiling, consider putting them on a dimmer switch so that you can lower the lights during certain times of the day. It’s important to keep in mind that if you have granite countertops and stainless steel appliances, that these surfaces will reflect and refract a lot of light. If you have pendant lighting above the kitchen island, think about what shades or glass you can use to diffuse the light from these fixtures. It’s okay for the kitchen to be bright, but you don’t want it to be so glaring that it takes your eyes a long time to adjust when you enter the room. In many older homes, there are one or two light switches that control all the fixtures in the kitchen. While this can be convenient, a lack of lighting control can leave a homeowner feeling frustrated. 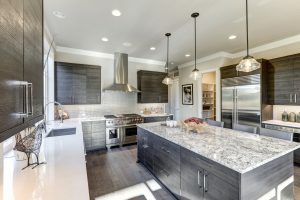 If you just want the island lighting on, or you only need the recessed light above the sink on, than having a switch or dimmer for that fixture can make life easier. You can impact the ambiance of your kitchen by having certain lights on or off, and that usually isn’t possible with just one or two switches. Adding a dimmer or a few more switches to the panel can make your kitchen lighting more versatile. 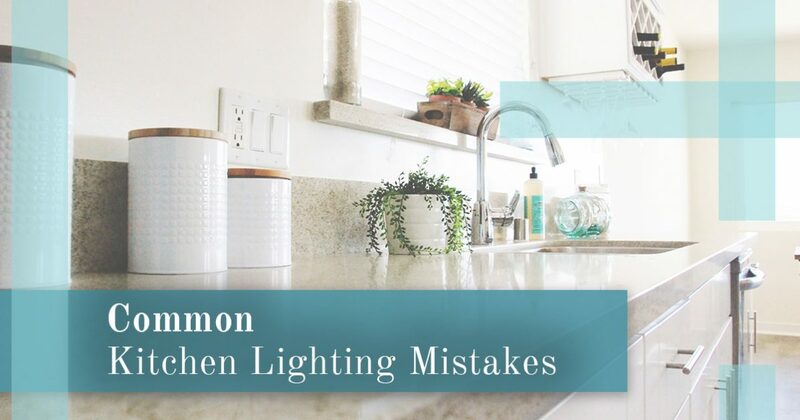 At Lighting One of Cincinnati, we’re here to help you avoid common mistakes when it comes to your kitchen light fixtures. If you’re tired of unwanted shadows, too much glare, or not having enough control over your lighting, then visit our showroom today. Our staff can help you find the perfect options, and we’ll gladly answer any questions you may have.